Many years ago, I led a small team at a large firm-a spoke in the wheel as they say. While I came from a military background, this was one of my first opportunities to lead in a corporate environment and I was excited. My team of five young, capable leaders was responsible for providing strategic insight to a $1 billion-plus business. It was a great opportunity for me to prove myself as a leader. When I first took over this group our division had just launched a major new product, and by all accounts, it was not going well. Not at all. Our volume was off and we were missing across most key metrics for success. A young manager on my team, let’s call her “Sarah,” was responsible for the business tracking and strategic insights for this new product launch. She regularly reported results to senior management, and she felt the stress of the situation. As I coached Sarah during our one-on-one meetings, I would try to provide my best advice, make suggestions on how to analyze data in different ways, and be as supportive as possible. I thought I could be a source of humor to relieve some of the daily tension from all the senior management “help” we were getting. I would often try to laugh at the absurdity of the situation with her, which for me included a bit of cynicism at what was happening around us. I figured if anything she would know that I had her back and we’d be a team in getting through this. 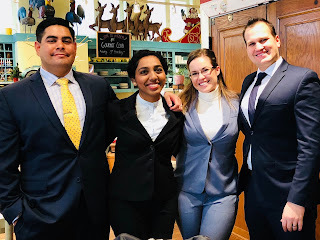 “WE SURVIVED THE CORE.” The four words I heard the most throughout the night after our final case competition, which was the conclusion of our first semester at Kelley. There were tons of cheers, hugs, and smiling faces between first and second-year students, all of whom were decked out in their ugliest of holiday sweaters. The Core is designed to stretch your capacity to learn, network, manage your time, and define who you are and where you are headed. With a finite number of hours in the day, and a personal limit for how many consecutive hours can be spent in a cohort room, it was apparent very early on that the key to success would involve checking your ego at the door and learning to rely on others for help, feedback, and moral support. The idea of Kelley being a collaborative program is not a new notion but truly came to life in the past four months. I had classmates who spent late nights at school to help me study in subjects that I was struggling in and our Blue Cohort morning “breakfast club” of early risers who I’m convinced came early in part to do homework, but in part just to spend time together. There were countless group projects with my amazing core team that included late nights and plenty of Mother Bear’s pizza and trips to conferences and company visits where lifelong friendships were born. It’s quite evident that the people of Kelley are the reason why I was successful in completing The Core, and I couldn’t be more grateful and honored to have shared this experience with so many intelligent and talented classmates. This is good news for people like me, who aspire one day to be Matthew McConaughey. I reflect on this quote every morning, without fail. It’s part of my daily practice of morning meditation and mental preparation. I feel inspired afterward because it keeps my value of continuous improvement alive and it reminds me that today presents a new opportunity to evolve towards the best possible version of myself. I have also found that Eliot’s quote helps me give hope to others. In my job as a career and leadership coach, I assist young leaders in their pursuit of their best selves, particularly as it relates to navigating personal transition. Remembering that our past does not forever define who we are is an extremely important step in that process. The innovative Academies are an integral part of the Kelley MBA experience. Academies have continued to evolve over the years to meet student and industry needs. Alumni play a critical role in the success of Academies. They speak at Academy Days, host students at their companies, and sponsor student projects. Are you a Kelley MBA alum who wants to get involved with Academies? Please fill out this short form and we’ll work with you to find the right opportunity. Click on each first-year Academy to read its newsletter and discover more ways to connect. 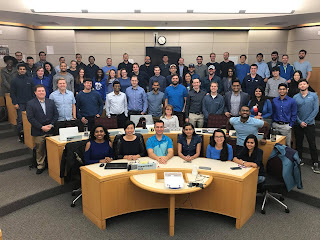 It has been my pleasure to have been teaching in the Kelley Full-Time MBA Program since 2005, with many of those years in the core teaching Operations Management. From Benihana, to Timbuk2, to The Goal, I’ve enjoyed sharing my passion for OM with smart, engaging students. For the last few years—ever since the retirement of the legendary Wayne Winston—I have been teaching spreadsheet modeling. I’m no Wayne Winston, but I’ve learned a few Excel tricks. As many of you know, I was appointed Program Chair of the program in July 2016, taking over the reins from Jonlee Andrews. I am honored and thrilled to be in this position. Jonlee left a great legacy and I have been doing what I can to build on her efforts. Challenge coins, or coins to honor acts of duty, have been used for centuries, all the way back to ancient Rome as a formal means of recognition. The first examples of these coins in the United States date back to World War I, as a bronze medallion that had had the flying squadron’s insignia stamped on the front. In modern times, these coins are still used by many government branches and the use has extended in to the public sector with firms like Ernst & Young adopting them to recognize exemplary employees. 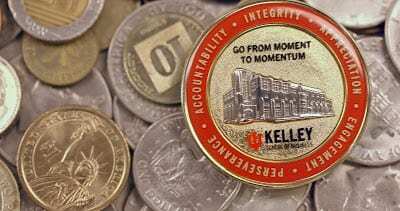 Following the lead of the Kelley Undergraduate Program, the Kelley Full-Time MBA Program will soon have their own version of the coin. The Kelley Coin will be given to students, alumni, faculty, and staff who exemplify the Kelley values of excellence, professionalism, collaboration, leadership, and integrity. Once an individual has been nominated for a coin, the nomination will be passed by the Kelley Coin Graduate Committee for review. 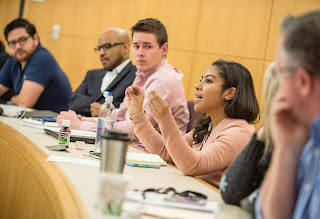 The committee consists of a member of the MBAA slate, a CRC (Conduct Review Committee) member, the MBA Program Chair, the Executive Director of the MBA Program, the Director of Student Services, the Associate Director of MBA Outreach, and a member of the Graduate Career Services Team. If a nomination passes through the committee, the individual will be presented with a coin. Any Kelley MBA student, alumni, faculty, or staff member can nominate another Kelley at any time. The committee will meet quarterly to review submissions and ultimately award the coin after submissions are discussed and evaluated. The Kelley Coin will officially be introduced on December 13 at the final TTAC (Third Thursday After Class) social event of the year. To learn more about the Kelley Coin, please email mbaa@indiana.edu for details or watch the Undergraduate Program video. 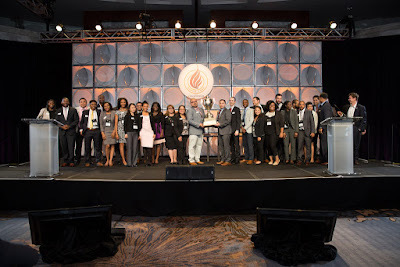 This past June more than 1,300 Consortium for Graduate Study in Management students, alumni, and corporate partners gathered in Atlanta for the 51st Annual Orientation Program & Career Forum. 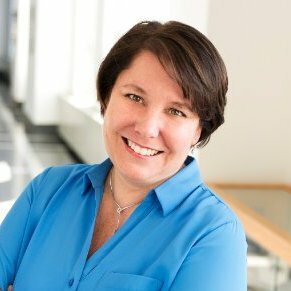 Kelley, 1 of 3 founding members of the Consortium, was a proud participant at the event, which offered students key career-building advice from top schools and corporations. The Consortium is the largest diversity network for MBA students at 19 schools across the country. 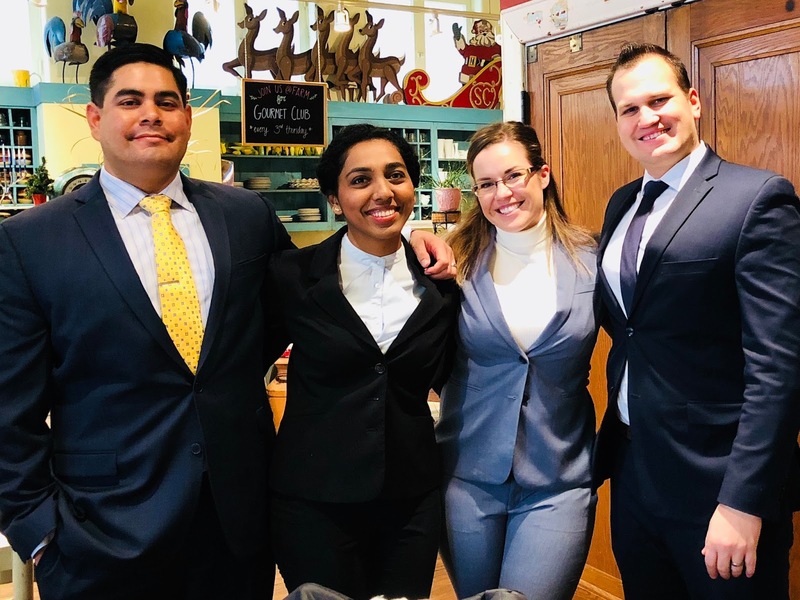 It also provides merit-based scholarships for students from underrepresented groups, as well as others who demonstrate a commitment to the Consortium’s mission of enhancing diversity in business education and leadership. At this year’s Consortium awards dinner during the event, the Kelley School of Business Classes of 2017 and 2018 were given special recognition for their collaboration and coaching efforts that stood above and beyond. The Together Everyone Achieves More, T.E.A.M., Award celebrates the accomplishments of these Kelley MBA students and illustrates their commitment to the Kelley value of succeeding together rather than going it alone. Special credit can be directed to our 2017 MBA graduates, Erica Smith and Kelly Fryer. Our MBAs’ win has prefaced a lot of excitement and forward momentum for the incoming Kelley Consortium Class of 2019, which is our largest class to date with 31 new Consortium MBAs. 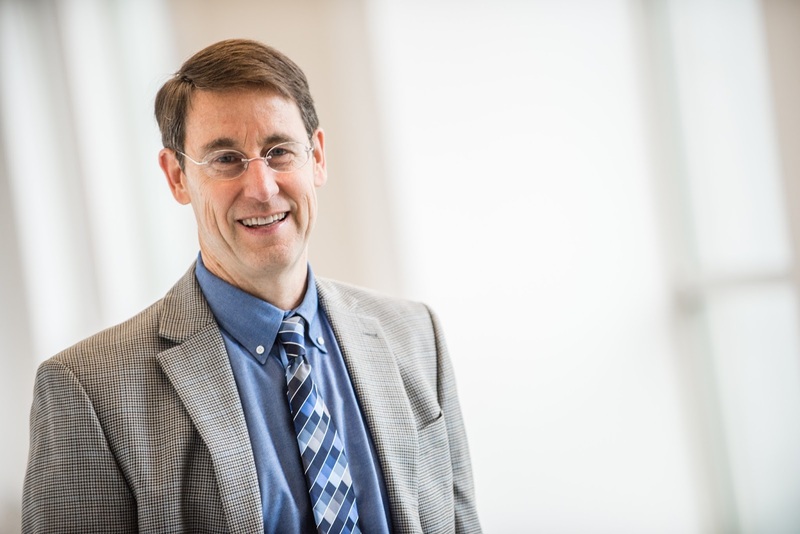 To learn more about Kelley’s history as a founding member of the Consortium, visit https://kelleyconsortium50.indiana.edu/. 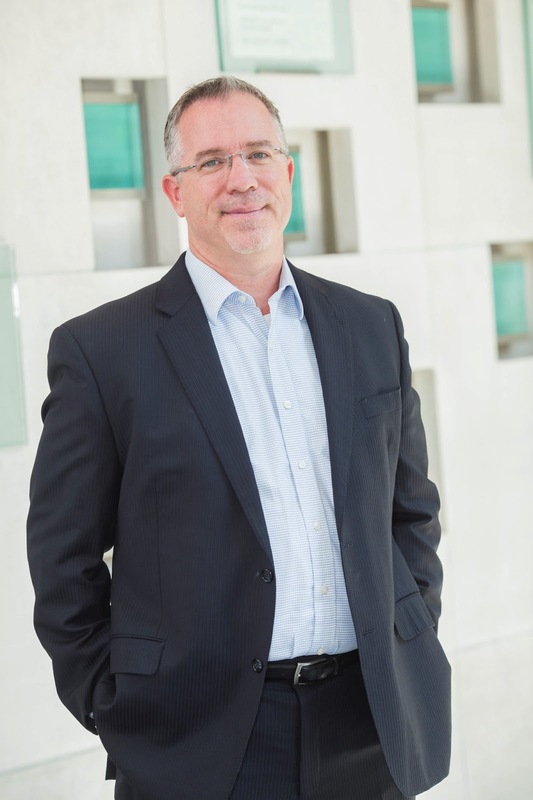 Written based on the expertise of Eric Johnson, Executive Director of Graduate Career Services. For the full version of Eric’s talk, click here. With the stress and pressure involved in finding the right internship, it can feel like the war has been won when you finally hear that you got the offer. Truth be told, the hard work is just getting started. There are two primary objectives for your summer: #1 to obtain an offer and #2 to gain experience that translates well for a full-time job search while leaving a favorable impression on those you worked with throughout the summer. One major point to highlight here – even if this isn’t your dream company, do not throw in the towel for the summer saying, “It doesn’t matter if I get an offer. I don’t want to work here anyway.” Full-time recruiters will be asking whether or not you received an offer, and there’s no sense in wasting a summer because you’re not exactly where you want to be. When families look back on the generations who came before, it’s always a particular point of pride for a member of the older generation to say, “I was the first person in my family to attend college.” In a world where a master’s degree is the new college degree equivalent, what is holding students back from being able to make this particular claim for themselves? For many domestic students, the hold-up comes from a financial perspective. For those who’ve grown up outside the US, one very real fear in their mind right now has to do with the prospective employment environment waiting for them on the other side of the degree. Eric Johnson, Director of GCS, addressed some of these fears in a recent webinar, and we wanted to share the answers our office has when it comes to some of the most common questions international students have right now. Written based on the expertise of Cindy Hosea, Associate Director of Graduate Accounting Program and Information Systems Graduate Program – Kelley Graduate Career Services. Jane* conducted her job search like just about most other college students. She applied to jobs that fell within her scope, showed up for career fairs, and went to nearly every company-hosted event on campus. Which is why she was left confused and discouraged when she was approaching graduation without a job or even the prospect of an offer. When she approached her career coach, it wasn’t hard to figure out what had happened. Jane had been showing up to the right events, but she hadn’t been engaged. Fortunately, she made another right choice in showing up to career services. Her coach explained that companies weren’t hiring her because they didn’t know her – there was no one advocating on her behalf. The session that happened in Cindy’s office that afternoon was a breakthrough, both for Jane’s immediate job search and the rest of her professional career. Their plan of action first set out to tackle the self-limiting thoughts that were holding Jane back from networking from the start.